Kingston is a village in South Kingstown in Rhode Island. The village is located in and surrounded by the University of Rhode Island (URI). Much of the tourism around Kingston happens in surrounding towns and cities located near by. The main restaurants, events, and things to do in town of Kingston can be found on the URI campus, or a short drive away. The closest airport to Kingston is TF Green Airport. This is the major airport in Rhode Island and is located right off of the interstate. Below are easy to follow directions to TF Green Airport in Warwick, RI, conveniently located one mile off I-95 at the end of Exit #13. Quite literally, once you exit the highway, the exit ramp takes you directly to our doorstep. No city traffic to fight and no confusion about what turns to take. From Providence, Northern Rhode Island, and Massachusetts: Take I-95 South to Exit 13. From Cape Cod and Eastern Massachusetts Take Rt. 195 West to I-95 South to Exit 13. From Southern Rhode Island and Connecticut: Take I-95 North to Exit 13. Boston Logan International Airport is New England’s largest transportation center and generates $7 billion in economic activity each year. It is a city within a city on a 1,700 acre footprint of land. The airport has a fire department, a police department, a power plant, two hotels, a non-denominational chapel and 27 acres of landscaping along the roadways and terminals. From the West: Take I-90 East (Masspike) to the Ted Williams Tunnel and take I-90 East Exit 26 to Logan. From the North: Option 1: Take I-93 South to Exit 24B to the Callahan Tunnel and Route 1A North to Logan. Option 2: Take Route 1 South, exit at Route 60, and follow the signs to Logan Airport. From the South: I-93 North to Exit 20 to I-90 East and the Ted Williams Tunnel, then take I-90 East Exit 26 to Logan. Route 138 runs east and west through the heart of Kingston Rhode Island. But you can also use route 2 (also known as the South County Trail) and Route 1 which intersects with 138. Amtrak's "Northeast Regional" rail service can take passengers to Kingston from as far north as Boston, MA and as far south as Newport News, VA. Tickets can be purchased online from Amtrak or at stations that have a "Quik-Trak" ticketing kiosk. These trains are reserved so tickets cannot be purchased on-board. Kingston Station also has a small museum that is open to visitors on certain days of the week. RIPTA (Rhode Island Public Transit Authority) has two bus routes that regularly stop at Kingston Station. Bus routes 64 and 66 both stop at Kingston Station and travel to other locations throughout Rhode Island. A one-way fare costs $2.00 which is paid on-board. Schedules and other information can be found at ripta.com. 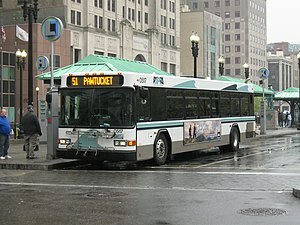 RIPTA's bus service is an affordable way to get around Rhode Island. Route 66 can take passengers to the University of Rhode Island, Wakefield, and Galilee while Route 64 can take passengers to Newport. Both of these bus routes travel to Providence as well. Regular one-way fare is $2.00 and is paid on-board. There are also Flex Routes that run around campus and the surrounding area. For schedules and more information, visit ripta.com. By taxi- There are two main Taxi Companies that service the Kingston area. 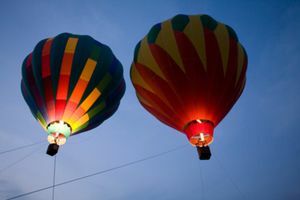 Eagle Taxi, 20 Middlebridge Rd, Narragansett, RI 02882 +1 401 783-2970. Also Orange Cab, 312 Connell Hwy, Newport +1 401 841-0411. It's recommended that you call a little bit earlier than you want to leave since they are located not in Kingston, and during the school year they can also be very busy. Bradford R. Boss Ice Arena, URI Campus, +1 401-874-5480, . Open to the public from 10AM-1:50PM. Check out the calendar for other events which might be going on in the arena. URI Theatre, Upper College Road (Fine Arts Center), +1 401-874-2627. Live theatre productions, Concert Choir and University Chorus performances, student recitals, the music department's semesterly Opera, and occasional non-URI performances. South Kingstown Farmers' Market The market is outdoors from May to October, rain or shine. The Saturday outdoor market is located at The University of Rhode Island's East Farm on Route 108 in Wakefield from 8:30 am to 12:00 pm. The Tuesday outdoor market is located at Marina Park on Salt Pond Road in Wakefield from 2:00 pm to 6:00 pm. From November to April the market is indoors at Peace Dale Mills, 1425 Kingstown Road, Wakefield from 10:00 am to 2:00 pm. .
Kingston Free Library, 2605 Kingstown Rd, Kingston (On Route 138) ☎ +1 401 783-8254. It was previously a county court house; it also served as one of the five original state houses. The hours vary and change depending on holidays. There is a decent selection of books, though it is not as large as the Peace Dale Library, there are also some movies and music. This page was last edited on 27 April 2018, at 08:42.